Last year at BEA I met Lisa Lynn. 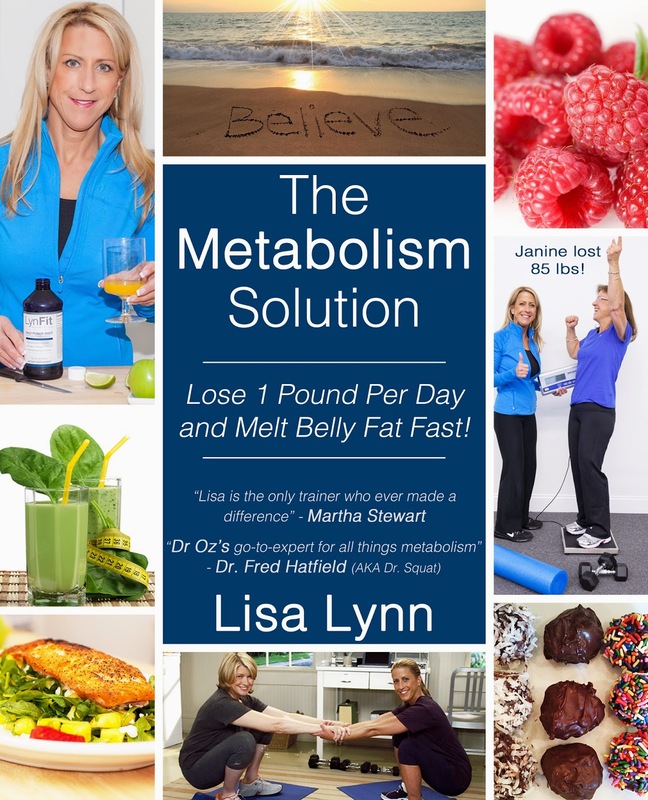 I was attracted to her book because of the word "metabolism". I've always had a fast metabolism and never had a weight problem, but I am now in my forties and I feel my body has changed. I had the possibility to talk to Lisa and I liked her immediately. There was an instant connection. She is a people person and I could see that she was passionate about her work. The first thing I noticed about Lisa's book is that it's easy to read. It's like Lisa is talking to you and imparting all the research and experience she's gathered in her 25 years. She doesn't put on airs and flaunt her connection with Dr. OZ or Martha Stewart, but she does talk about them in her book to make her point about key things that she feels her readers should know about weight loss, like the truth about how raspberry keytones work. I must admit that hearing Lisa's struggles with weight and emotional issues throughout her young life touched me, and although that is not my case, I can relate because of my struggle with depression. And guess what? Food and depression are related. So even though weight is not an issue with me, eating right is always something I have striven for. 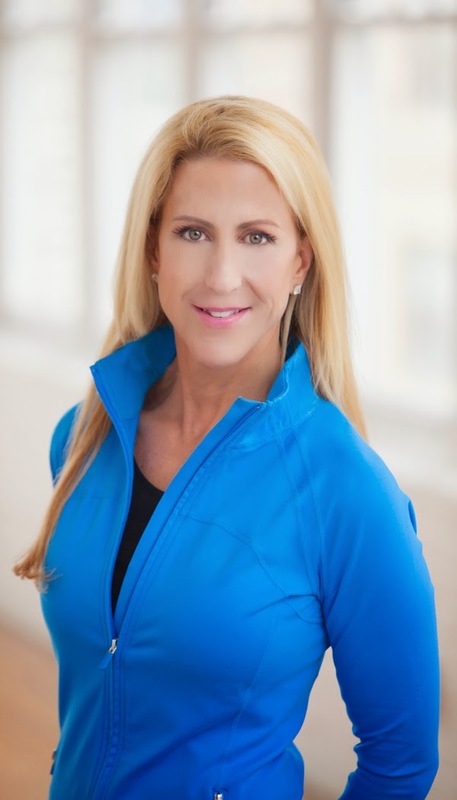 In her book, Lisa talks about the importance of lifestyle changes and I wholeheartedly embrace that notion if you want to look and feel better. She speaks of eating 10 veggies a day and drinking plenty of water, two things I've neglected to do. Her diet is gluten-free which pleased me because ever since I have been on a gluten-free diet I have less joint pain. I paid particular attention to her section on supplements. Although I believe in eating healthy and choosing food closest to its natural state, we live in a world where water and land is polluted (not to mention genetically modified) and we no longer get all the nutrients we need from food. I do believe that taking supplements to complement (not replace) good eating habits does help. I'm anemic and it does make a difference when I take my iron supplements. Lisa's supplements are meant for weight loss, though, and unless you have a serious weight problem, I don't believe one needs to take so many supplements a day. I am convinced about her protein shake and will invest in getting it because breakfast is always a problem with me. I found my solution! Lisa also has a good section on a metabolic workout, exercise which is encouraging and can be done at home in 20 to 30 minutes. Although I do exercise I don't like it because I always have joint pain when I do it. It's part of the fibromyalgia state, but exercise is necessary! And I liked that her exercise section didn't scare me off but motivated me even more. The book is filled with interesting facts in boxes throughout its pages, including charts and photos. It has a nice layout that makes it easy to read and find info. Lisa also has a section on becoming spiritually fit by bringing God into your life. I agree with her. We as humans have physical, mental, emotional and spiritual needs. We need to take care of all four to be truly healthy. Finally her book ends with some good recipes. 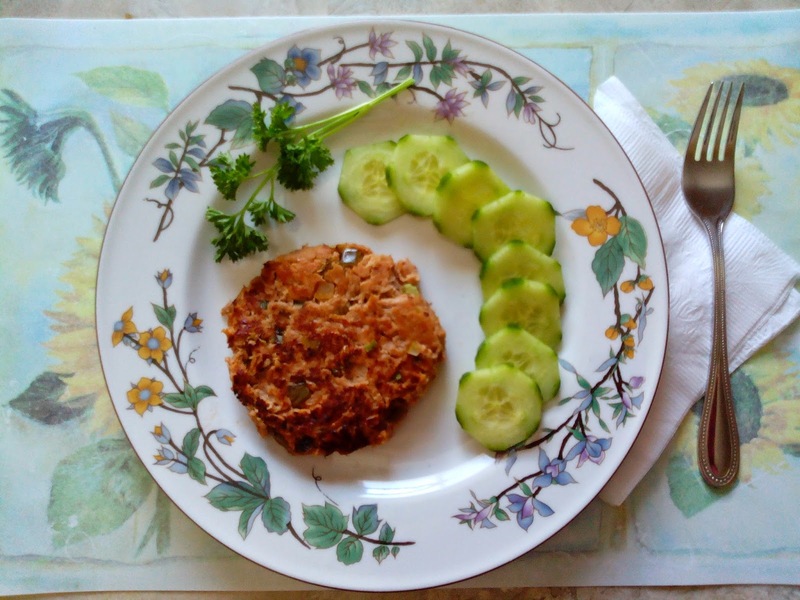 I decided to try the Slim-Quick Tuna Burgers. Here is the recipe and our impressions. I had my kids taste-test this recipe. 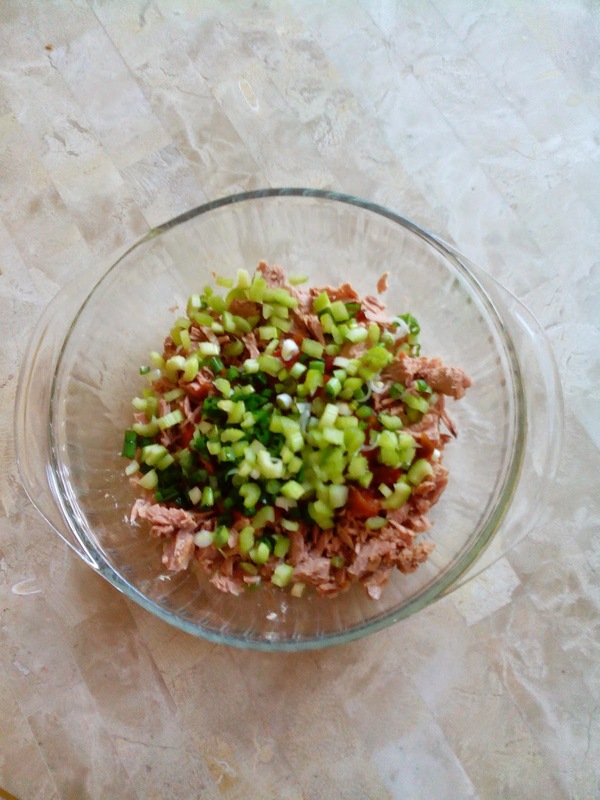 Combine tuna, 1/4 cup salsa, celery and onion in a medium bowl, breaking up any large pieces of tuna until mixture is uniform and holds together. Combine remaining 1/4 cup pf salsa and egg white. Spray large nonstick skillet and place over medium heat. 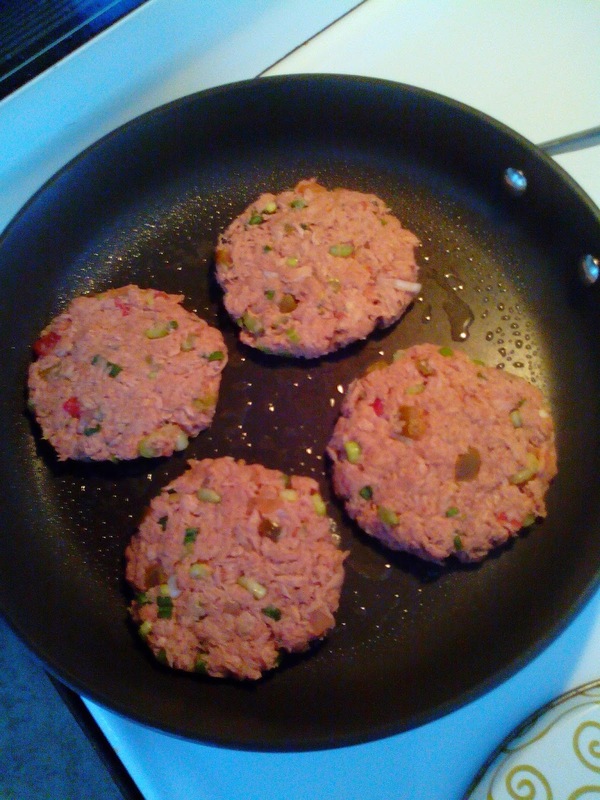 Using a generous 1/3 cup each, form tuna mixture into four 2-inch burgers. Cook until heated through and golden brown, about 2 minutes per side. Place on top of green salad and dress with your favorite salsa or mustard dressing for a big bang. Too moist? Drain excess liquid. Too dry? Add more water or salsa. Make extra for lunch during the week or for a lean snack. This was an easy recipe to prepare. I had all the ingredients on hand but substituted the onion for shallots. The burger was delicious! I made it for lunch and had my 11 year-old super picky son try it. He thought it was okay but would have preferred it didn't have any other ingredient but the tuna. This is typical of him, but he ate half and I was happy with that. The burger was crumbly though and I think next time I will add two egg whites instead of one. I ate my burger with some gluten-free sweet potato and flax seed crackers. What a great combination! I left the other two burgers for my 13 year-old daughter and my hubby to try later. But my daughter gobbled up both when she returned from school. She told me they were "surprisingly good". So I will definitely be making more of this recipe. To read more reviews, please visit Lisa's tour schedule on iRead Book Tours. Create a metabolic diet plan that you will surely follow and that will keep you healthy.